Sell by auction is a major UK property auctioneer with auction rooms covering every area of England and Wales. 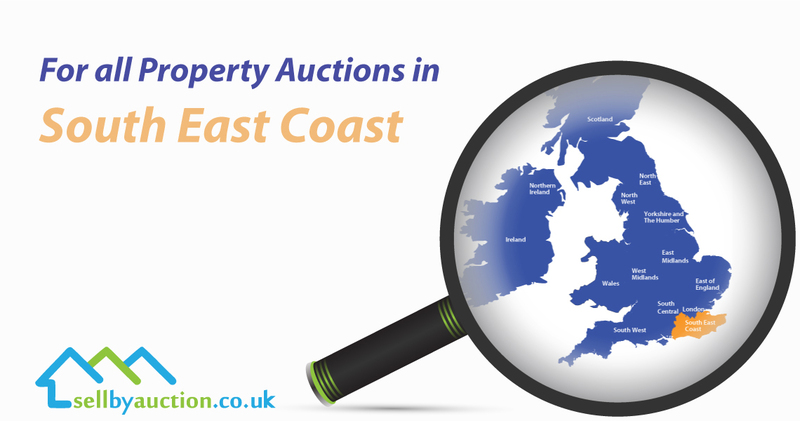 Our South-East auctions mainly deal with higher value residential properties in need of modernisation and refurbishment. We value houses, bungalows and apartments across Maidstone, Canterbury, Ashford, Folkestone, Brighton, Crawley and also other parts of England. There are two common reasons for selling by auction. Death in the family, probate and inheritance. Other main reasons for choosing auctioning off properties are: retirement, downsizing to a smaller home, to release equity or moving abroad. What is wrong with selling through estate agents? There are several advantages to offering a property through auctioning. Because, the usual avenues for selling properties such as: open market, private treaty, through estate agents offers no guarantee of a sale. Most critically, selling through other options apart from auctions have unknown time frame. 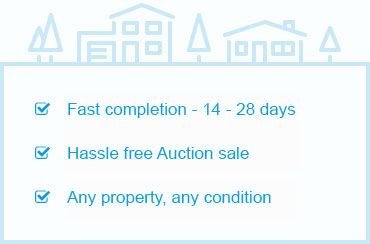 Property sale by auction delivers certainty, quicker results and in a fixed time period. What are the Usual Time Frames? Catalogues open for entries four weeks before the sale and close for entries two weeks before the auction. Marketing and viewings takes place during this time. The property sells on auction day with a legally binding exchange of contracts with fixed completion. The standard time to complete is 28 days. Some clients depending on their needs can complete the sale earlier or later, anywhere between 10 to 60 days is acceptable. A flexible moving date is very useful to homeowners who are selling their UK home. As it provides flexibility to change the moving date, thus allowing extra time to pack and move out. Or bring forward an earlier completion if the sellers have already moved out, or if the property is vacant as would be the case following an inheritance. Why You Should Not Delay Selling a Vacant Property? Keeping hold of vacant property is fraught with unnecessary risks and costs. Break in, damage, vandalism, squatters, copper theft, damp and vermin amongst other reasons. Then there are the financial costs of holding empty property. Council tax, insurance, utility bills. Heating, light and ventilation are essential safeguards against damp, break-ins and may be an insurance requirement. Most Home insurance policies only cover unoccupied property for 30 days and also require weekly inspections. Sell by Auction recommends that if you own an empty house, make sure you sell it and release the equity or rent it out as quickly as possible. Renting a property in UK is a complicated process and requires careful tax planning. Important fact to remember: a rental property with sitting tenants sold as an income producing investment can secure a higher price at auction from investment buyers than a vacant property sold to builders.